High-end VPN service and internet anonymizer, Perfect Privacy has a focus on extreme security, quality bandwidth & advanced features. Suitable for those, who are picky about privacy and transfer speeds. This is my review in 2019. There are no public discount coupons and any site claiming to offer discounts is most likely fake. Instead, they are offering reduced cost pricing for subscriptions with longer payment cycles, please see this page for more about Perfect Privacy VPN discounts and pricing. So far no coupons are known to exist. I will be in contact with the awesome administrators of PV and publish information here about any possible discount promotions they might run in the future. Server locations (23 total): USA, Canada, UK, Germany, France, Netherlands, Australia, Switzerland, Turkey, Sweden, Czech Republic, Luxembourg, Egypt, Russia, Latvia, Lithuania, Romania, Iceland, Israel, Singapore, Hong Kong, Japan. As the name suggests, the services infrastructure has been built with the anonymity and privacy of it’s users in mind. With no logs or any data that could help to identify users, you can leave the worry of privacy protection to these guys. The simple reality is that operating servers in multiple countries, one is inevitably committed to a degree of regulations and laws of each country. Perfect Privacy admits that and while it obeys legally within those jurisdictions, any communication with the authorities would fall short however as no data can ever be extracted from those servers. Besides that, I was impressed at features such as “Cascading”, which enables users to jump through a server location to another, which is the most effective way of operating without leaving the slightest trace of the origin of your connection. There is a lot you can get out of this service to please the most demanding of customers. Or just enjoy the government grade 256 bit AES encryption and solid connections for a sound sleep. 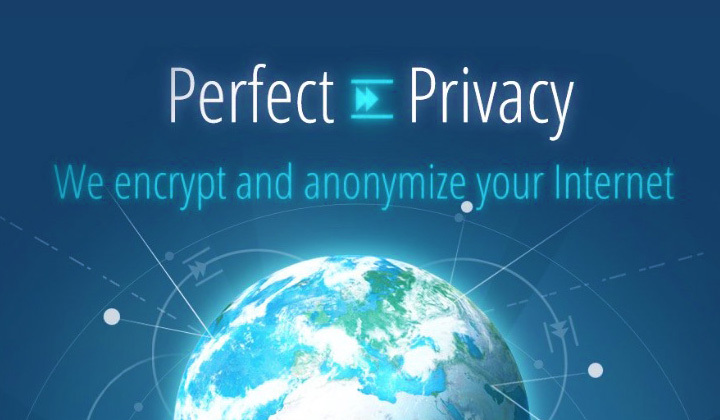 Click here for more info on Perfect Privacy and their VPN features. Check back for possible discount promotions and coupons. What’s your experience with Perfect Privacy VPN? Comments, and inquiries are welcome this way. Please note, some of these VPN reviews and other bits of content on the blog might contain affiliate link to promote the work behind writing them. My most sincere thank you for your visit and voluntary support. Regards, David.